38-year old Shai-li Kately and her baby daughter Yael identified as the victims of the deadly car accident in southern Israel Monday night. 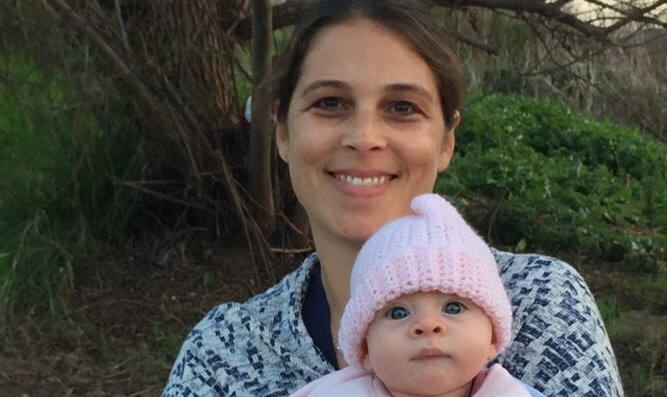 The mother and her baby who were killed in a traffic accident Monday night have been identified as Shai-li and Yael Kately from the town of Lehavot Haviva in the Sharon region. Sha-li, 38, and Yael, 7 months, were killed on Route 40 in southern Israel after they being struck by a car after they exited their own vehicle. According to investigators, Shai-li had problems with her car while driving with Yael on Route 40. Shai-li pulled over to the shoulder and exited the vehicle. While Shai-li was removing Yael from the backseat of the car, another private car, driven by a Beersheva man in his 40s, slammed into Shai-li as she held Yael, fatally injuring both of them. MDA emergency first responders were called to the scene and attempted to resuscitate the two. "It was a terrible sight when we arrived at the scene,” said MDA paramedics Shani Gamliel and Oren Wachat. “We saw a private car crushed near the safety rail, and outside the car was a woman of about 30 and a baby of about a year who was unresponsive." "With the help of a pediatrician from the Soroka Hospital who came to the scene, we gave life-saving medical treatment and performed advanced and prolonged resuscitation operations. We transferred them to intensive care ambulances and evacuated them to the hospital when their condition life-threatening." Southern district police have called in the driver of the second car for questioning, pending his release from the hospital for injuries sustained in the accident.